What’s happening in Yamba this Summer? 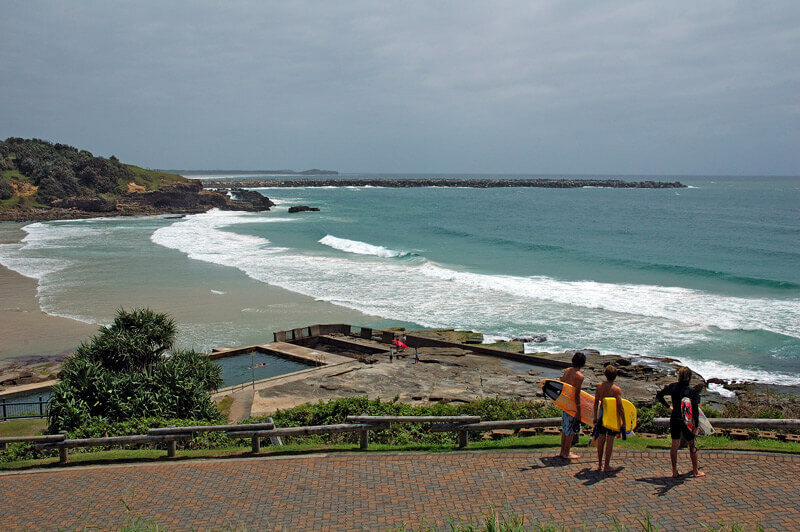 Summer in Yamba is gorgeous, and well worth experiencing, whether you’re living in Australia or travelling internationally. There are many reasons to see this cruisy beach town, including pristine beaches, rock pools thriving with sea life, surfing, snorkeling, and fishing on the Clarence River. When planning your visit, make sure you know what’s going on so you can see it all and get the most out of your stay. So, what’s happening in Yamba this summer? Local gourmet food manufacturer, Nicholson Fine Foods, host a Tour and Taste Experience. The 45 minute tour includes sampling Belgian chocolate, garnishing pearls, spice mixes, fruit vinegar, and more. Call ahead for bookings. The Yamba River Markets are held on the 4th Sunday of every month, boasting 80+ stalls to shop and explore. Try fresh vegetables, fruit, and a variety of culinary dishes. There’s also clothing, books, jewelry, crafts, art, and second hand furniture for sale. While you stroll through the bazaar, enjoy free entertainment by local emerging artists, as well as touring musicians. In consideration of Christmas, the next Yamba River markets will be held early, on December 11th, from 9am-2pm. Brooms Head Family Fun Day is a sports event holding activities for families to enjoy together, including relay races, tug of war, and water carrying. For those who’d rather be shopping, there’ll be market stalls to browse, as well as food and refreshment vendors. The Brooms Head Family Fun Day will be held on New Year’s Day, 2017. Click here for more information. After a day well spent at Brooms Head, make your way back to Yamba for the Twilight Street Markets. Held every New Year’s Day, the main street of Yamba is closed to make way for this community event that showcases local craftsmen’s goods, including art, clothing, jewelry and gourmet foods. If your New Year’s holiday isn’t already busy enough, on the 2nd of January, head to one of Yamba’s biggest swimming events of the year. The annual Ocean Swims event in Yamba is a great opportunity to see the coast, get some sun, and meet new people. Enjoy a refreshing dip while working off some of those holiday kilos. You may even pocket yourself a $250 cash prize! Make your holiday in Yamba, New South Wales, even better by booking a stay at The Cove. Check out our studio, one, two and three bedroom apartments, for the ultimate summer holiday stay.